When I was in high school, the words “required reading” sent my rebellious self flying into a combative rage. Required reading? Why should I be required to read anything? Everyone should be free to choose which books speak to them! After all, as long as you’re reading something, it’s a good thing. Who decided that Faulkner was better than Rowling? That Shakespeare was better than King? The “classics” are completely subjective. You might think Canterbury Tales is brilliant, but I found it a complete yawn. Still, throughout my high school years, I did find a few required reading books that I really did enjoy. Over the last 20 years since high school, I’ve read even more that I think should be added as options to the “required reading” list. 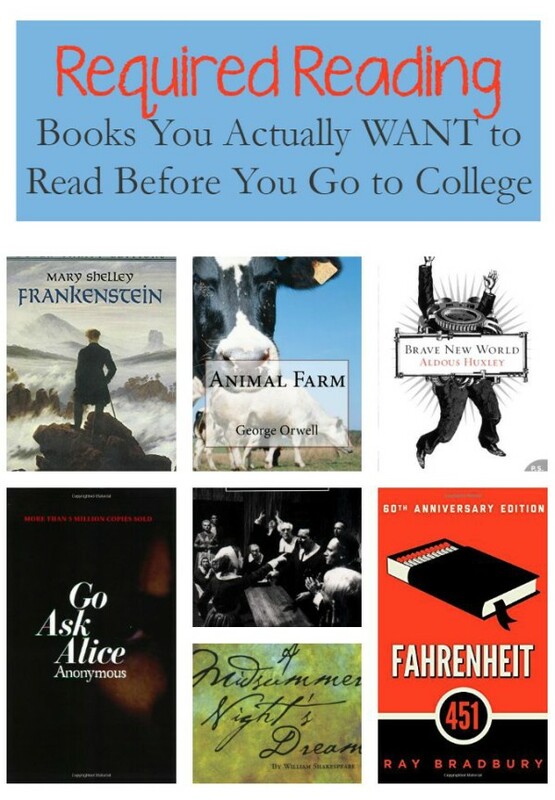 Check out my own list of 10 novels that you’ll actually WANT to read before college! Or, if you’re past college, consider going back and giving them a second look! Affiliate links included below in case you want to buy them now, although you can find most of these-if not all- for free at your library or super cheap at a used book store. 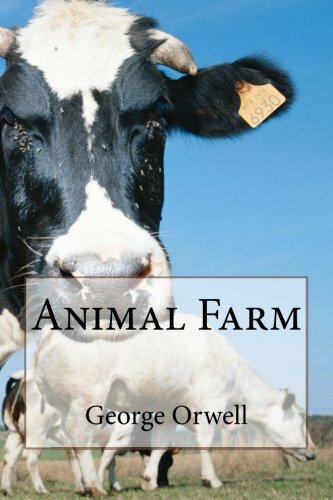 Animal Farm by George Orwell: This was on the required summer reading list before I started 9th grade and has remained a favorite ever since. Back then, I loved Animal Farm because I was a huge animal rights activist and also just loved talking animals (still do!). To me, the idea of animals over-throwing people was just fantastic. I didn’t realize it was a commentary on Stalin and Russia. The fact that the animals overthrow one bad regime, then let the pigs (like actual pigs, not name-calling here) take over and become exactly what they tried to get rid of is definitely something that replays itself in human history. It’s a political lesson…with talking animals! 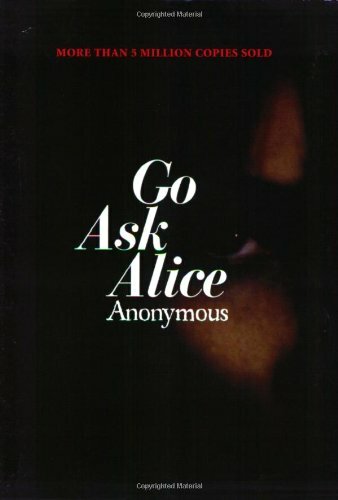 Go Ask Alice: I was actually surprised when my 12th grade English teacher- a nun- decided that we would read this book. I’d already read it four times, so she actually let me grade the papers for it. Anyway, Go Ask Alice isn’t for the easily offended or those looking for roses and sunshine. It’s about a girl in the 60s who got hooked on drugs. It’s supposed to be her diary and it’s quite detailed in some spots. I read this amazing review on Amazon (first review in the link), though, that speculates that it was more of an anti-drug propaganda book than an actual diary. Which I suppose is fine, but it takes away the power if that was ever proven to be true. Anyone can write a DARE piece or make a commercial with frying eggs. But Go Ask Alice was like THE cautionary tale that probably saved me from some pretty bad choices. She made sure I never touched anything I couldn’t put down. I was a lot different as a teenager, you wouldn’t recognize me. Brave New World: If you love dystopian fiction, why not go back to the roots? In Brave New World, Aldous Huxley has created utopia in which everyone is happy. Everyone loves their job, their life, and Ford (I don’t think it’s the car). Don’t feel happy? Soma takes care of that! Well, almost everyone. A few throwbacks to the old ways and days live in a savage reservation. When Bernard Marx starts getting an itch that maybe there is something more, a visit to one of these reservations gets him thinking that maybe complete and boring contentment really isn’t the utopia its made out to be. If you ask me, you can’t be happy if you’re never sad. You can’t know joy if you never know loss. You can’t feel peace if you’ve never known conflict. Huxley shows us that striving for utopia isn’t a dream that we really want to make come true unless we’re willing to give up a piece of our souls. The Crucible: While Arthur Miller’s Death of a Salesman was more popular, The Crucible is by far my favorite of his works. The story is one we all know well, a dark time in our own history. The Salem Witch Trials. Hysteria and religious fervor ended the lives of 20 people, mostly women. What caused the hysteria? Was it ergot poisoning that maddened the minds of the townspeople (if it doesn’t kill you, it can have an LSD-like effect)? Bored little girls playing a nasty little game? A land grab from greedy church officials? We’ll never know. Miller does a good job of replaying the events. Did you know, though, that there was a deeper reason behind writing the Crucible than just wanting to shed some light on the Salem witch trials? Miller wrote it during another dark time in our history: Senator Joseph McCarthy’s own special flavor of “witch-hunts.” Our parents and grandparents may remember that time, where everyone who dared think for or express themselves was accused of being a communist. 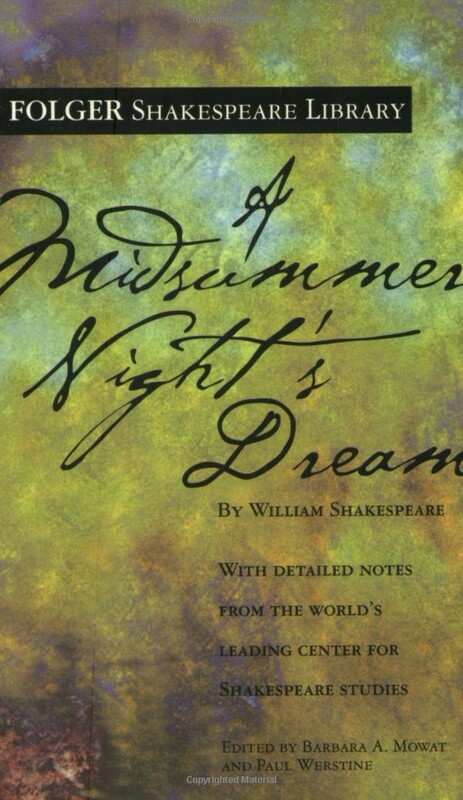 Midsummer Night’s Dream: Despite my comment in the intro, I really do like Shakespeare. Hamlet, Romeo and Juliet, Macbeth- they were all favorites in high school. My all-time favorite, though, was Midsummer Night’s Dream. I read a lot of YA Books about faeries, so I guess it makes sense that this would be my favorite. While my other Shakespeare favorites tend to be utterly tragic, this one is just plain fun. If you want to dip your toes into Shakespeare without ending up feeling all depressed and cynical, this is the play to go with. Sure, it probably has some deeper meaning, but honestly, I never delved into it. I just loved reading about Puck and Nick Bottom and Titania. It’s a Shakespearean palate cleanser between tragedies! Frankenstein: Once upon a time, Mary Shelley got together with Lord Byron, John Polidori and a few other friends on a lake in Geneva. They sat around reading ghost stories and scaring each other. Then Byron said “let’s all write ghost stories!” Well, I don’t know what he said, but something along those lines. Everyone set to writing their own tale of horror for the little friendly contest. Polidori created The Vampyre. Mary’s husband, Percy Shelley, wrote a little something something. I think Byron wrote Prometheous Unbound but I can’t recall. Mary got off to a rough start, but ultimately wrote Frankenstein. 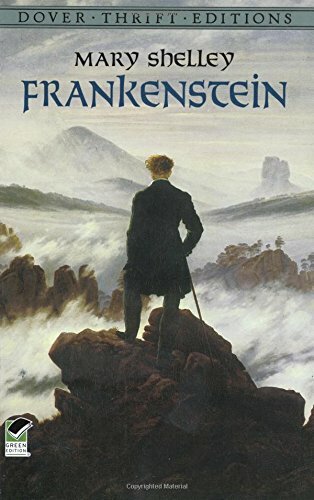 Frankenstein is, of course, one of the most popular Gothic horror novels of all time, exploring themes like whether knowledge is power and how much power a human should yield as well as whether we have a scientific right or duty to mess with nature. The treatment of Frankenstein’s monster is another interesting theme, especially in today’s bully-intense society. The poor guy just wants a friend who understands him and looks past his physical flaws! Mary Shelley created a rich and deep novel that goes way beyond a spooky story. 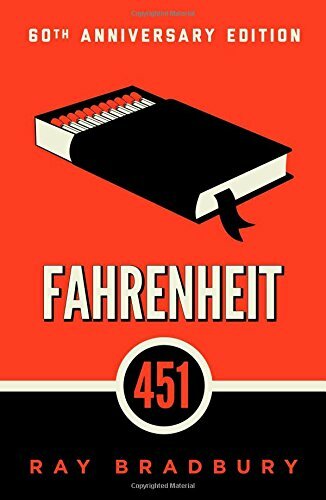 Fahrenheit 451: Last on my list is Ray Bradbury’s dystopian story about the temperature at which books burn. In the future, people live and die in front of the television. Books are illegal and Firemen seek them out to destroy. Why? Because it’s easier to control the masses when they can’t peek at more beautiful worlds or get new ideas from the pages of a book. Television is a medium that requires very few brain cells. I love TV, but it’s the truth. Books, well, if you just look at this list alone, you’ll see that they can introduce us to whole new philosophies. Encourage us to speak out against our oppressors, even right under their watchful eye! While there are other required reading books that I found enjoyable, these were always my favorites. I’ve always despised Faulkner, though. I had a teacher that shoved him down our throats and it just backfired to the point where his name makes me shiver. Oh, and Hemingway! Sorry, Ernest, but the bell does not toll for me! Movies about More than School by How Was Your Day? What required reading books did you have to read that you actually loved? Tell me in the comments! I’ve read and enjoyed all of these. 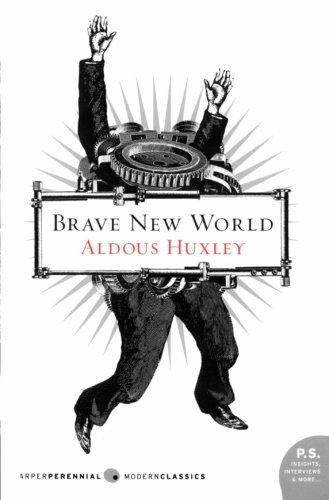 Brave New World is definitely my favorite. This is a really great list. I have a few read of them. I definitely need to read the others on the list. Great list. I’ve read all but Frankenstein and The Crucible and I completely agree with your list.